The Man With "Great Zeal to the Cause of Liberty"
Lafayette was, in full, Marie-Joseph-Paul-Yves-Roch-Gilbert du Motier, the Marquis de Lafayette, which you can also spell La Fayette. Lafayette supported the abolition of the slave trade, abolition of social privileges, freedom of religion, freedom of speech, and human rights in general. 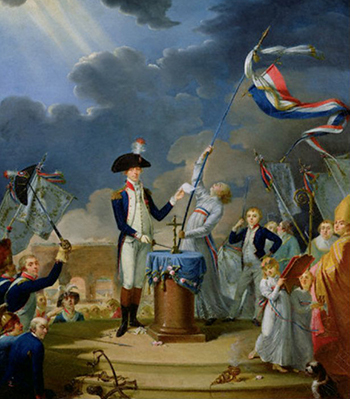 After helping out in the American Revolution against Britain, Lafayette tried to assist France in her transformation from absolute monarchy to constitutional monarchy. But events took a radical turn and Lafayette fled the country in August 1792. Arrested by the Prussians, Lafayette was transferred to the Austrians, who kept him prisoner until 1797. 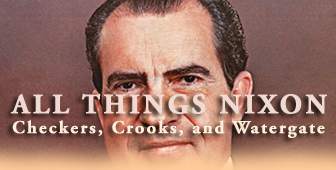 After his release, he tried to prevent, or at least moderate, his country's government's relapse into autocracy. During intervals of political rest, Lafayette loved to occupy himself with improving agriculture on his 200 ha / 500 acres. 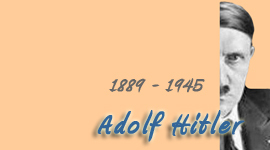 He also purchased several farms in the neighborhood and exchanged letters on this topic with scientists and inventors. 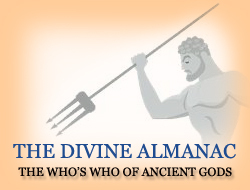 In fact, he was the first one to successfully cultivate alfalfa in the Brie region. Lafayette was born on September 6, 1757, at Chavaniac, France, into an ancient noble family. 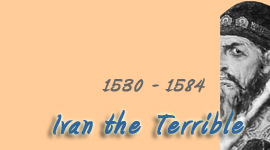 Chavaniac is today's Chavaniac-Lafayette, postcode 43230, département Haute-Loire, région Auvergne, France. Lafayette's father died when he was 2 years old. His mother died when he was 13 years old. In 1773, sixteen year old Lafayette married Marie-Adrienne Françoise de Noailles, second daughter of the Duc d'Ayen, and his wife Anne Louise Henriette d'Aguesseau, Duchesse d'Ayen, in a pre-arranged marriage. Wife Marie-Adrienne lived from 1759-1807. On April 19, 1775, the American Revolution broke out. "Resolved, That his service be accepted ... [and that he] have the rank and commission of major general in the army of the United States." 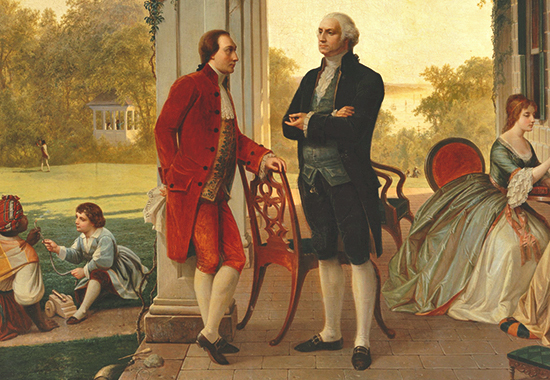 On August 1, 1777, Lafayette met George Washington for the first time. On September 11, 1777, Lafayette fought in the Battle of Brandywine. This was Lafayette's first action in the American Revolution. Although suffering a leg injury, he fought well, which was noticed by George Washington. Lafayette was invited to attend the negotiations with the Six Nations (Iroquois Confederacy) in 1777 / 1778. Battle of Barren Hill near Valley Forge: On May 28, 1778, retreat from Barren Hill. Back to France in 1779. Georges Washington gave Lafayette the task to convince the French government to send troops. Lafayette met with King Louis XVI at Versailles and was given an army. The French troops, led by Jean-Baptiste-Donatien de Vimeur, Comte de Rochambeau, landed at Rhode Island in April 1780. 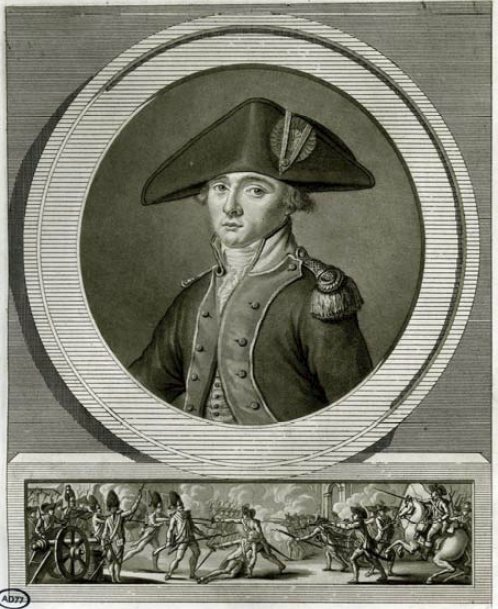 Lafayette was made commander of an American division. He fought with Washington at the Siege of Yorktown, September 28 - October 19, 1781. Fighting ended when Cornwallis surrendered on October 19, 1781. 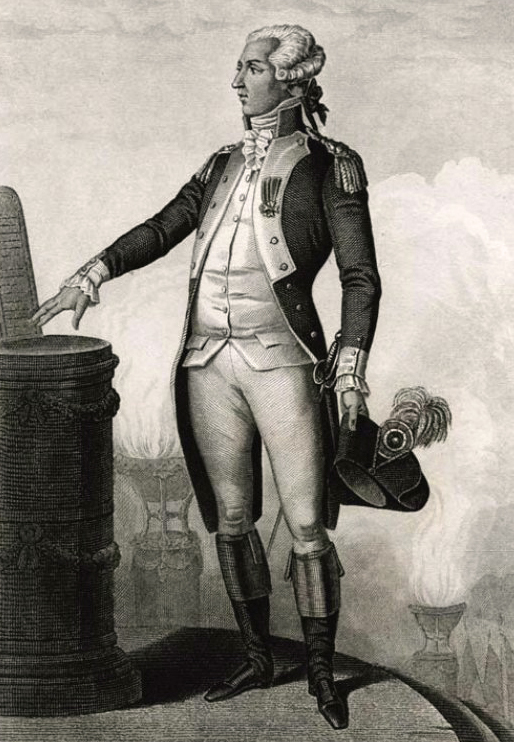 Lafayette was only 24 years old and had established himself as able military commander. He was celebrated as national hero. Lafayette returned to France in 1782, where Louis XVI made him maréchal de camp. On January 20, 1783, the Treaty of Versailles (preliminary articles for the final treaty that would become part of the Peace of Paris) was signed by England and France, recognizing the independence of the United States. After this, Lafayette returned twice to the States, from June 1784 until January 1785, and from August 1824 until September 1825. 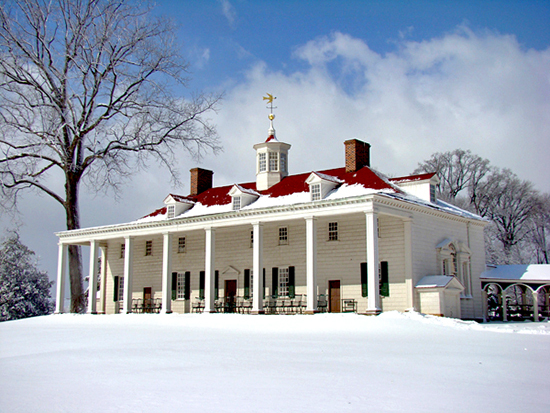 You are welcome to visit Mount Vernon. Today, the U.S. keeps Lafayette in the collective memory by having named 31 cities and 17 counties after him. The Assembly of the Notables, or Assemblée des Notables, was held from February 22 - May 25, 1787, at Versailles. Lafayette was summoned as one of the Notables. May 10, 1787, Lafayette asks for the Estates General. May 23, 1787, Lafayette's proposal in favor of Protestants is accepted by the Assembly of Notables. 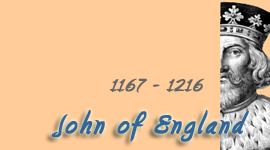 In November 1787, it will bring about the royal Edict of Toleration. 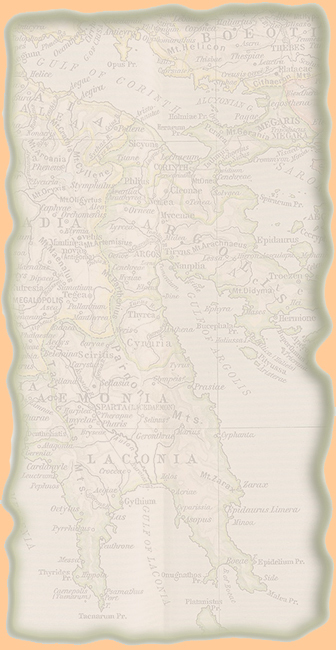 On May 5, 1789, the States-General assembles. Lafayette arrives as deputy from the Nobility of Auvergne. On July 11, 1789, Lafayette presents a draft of the Declaration of the Rights of Man and of the Citizen. On July 13, 1789, Lafayette becomes vice-president of the National Constituent Assembly. 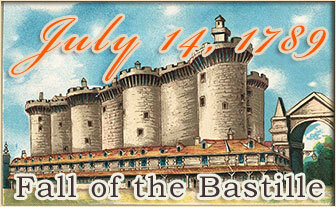 July 14, 1789, storming of the Bastille. On July 15, 1789, Lafayette is appointed commander general of the National Guard. August 26, 1789, the Declaration of the Rights of Man and of the Citizen is adopted by the National Constituent Assembly after many revisions. On October 6, 1789, Lafayette accompanied the royal family from Versailles to Paris. July 14, 1790, Festival of the Federation. It was Lafayette and the mayor of Paris, Jean-Sylvain Bailly, who came up with the idea of organizing a day to commemorate the Storming of the Bastille, having proposed it on June 5, 1790. The main reason for this festival was to demonstrate the readiness of the National Guard and their ability to assemble with the quickness. The Champ-de-Mars was prepared to accommodate about 400,000 people. In the center of this enormous field was standing an "altar of the Fatherland," ready for the priests who would hold the Mass, the thousand singers and instrumentalists who would let loose with Te Deum, composed for the occasion by the then famous François-Joseph Gossec, who lived 1734-1829. And of course for the oath of allegiance "to the Nation, to the Law, and to the King," taken by Lafayette and by everyone present. Oil on canvas, late 18th century, unknown painter. Wiki. In 1791, for the duration of one month, Lafayette was the president of the National Assembly. On May 11, 1791, at the National Constituent Assembly, Lafayette speaks against the slave trade. On June 21, 1791, the royal family tried to flee the country but was caught by Lafayette's men at Varennes and brought back. To a suspicious mob, this raised the question whether or not Lafayette had been involved in planning the escape in the first place. On July 16, 1791, the Club des Feuillants (Club of the Feuillants) was created. 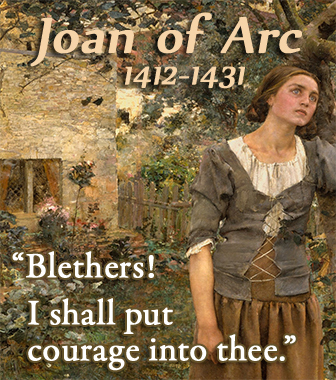 The Feuillants were Reformed Cistercians, strictly observant priests and nuns whose first convent had been established in 1588 at Montesquiou, then it was transferred to Toulouse in 1599. In 1622, the Feuillants came to Paris and settled at their new convent in the Rue du Faubourg Saint-Jacques, today's rue Saint-Jacques. The Revolution suppressed this convent and confiscated the building. Moderate members of the Jacobins made this building their new club house for their newly established revolutionary club. The Club of the Feuillants was in favor of constitutional monarchy and in favor of a policy of compromise with the aristocracy. It had come to this split when the Jacobins, after the King's attempted escape in June 1791, argued that he had practically abdicated. Among the founding members were Emmanuel-Joseph Sieyès, Antoine Barnave, Adrien Duport, Alexandre de Lameth, and Lafayette. 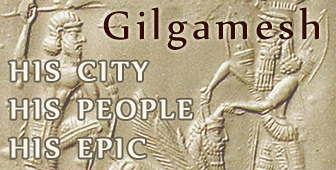 The existence of this revolutionary club became pointless after August 10, 1792. On July 17, 1791, Lafayette ordered his troops to shoot at anti-royalist rioters, aka Champ-de-Mars Shooting (Fusillade du Champ-de-Mars). It became a massacre, and with many protesters died Lafayette's popularity, and the reputation of the mayor of Paris, Jean-Sylvain Bailly. "The national guards of France swear to your Majesty an obedience that shall have no limit but that of law, an affection that shall have no end but that of life." In October 1791, Lafayette resigned as commander of the National Guard. In December 1791, Louis XVI made him commander of the Army of the Center. Lafayette was ready to fight against Austria. On April 20, 1792, the French declared war on Austria. 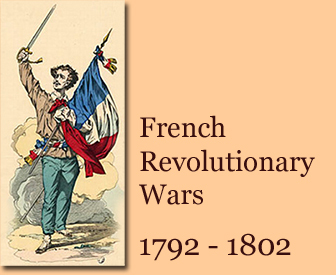 The French Revolutionary Wars began. June 20, 1792, invasion of the Tuileries Palace. After this incident, Lafayette hastens to get to Paris to defend the royal couple against the Jacobin revolutionaries. He offers to stop the riots with his army, but Marie-Antoinette persuades Louis to refuse. In July 1792, Lafayette was made commander of the Army of the North. 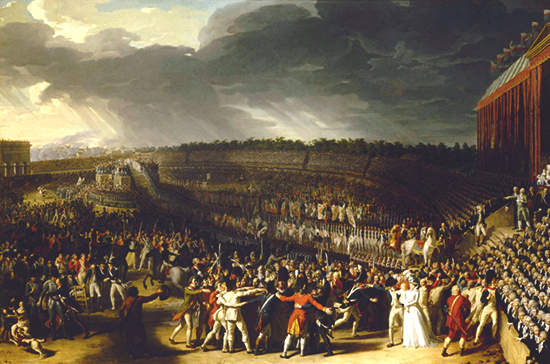 August 10, 1792, storming of the Tuileries. This time for good. Overthrow of the monarchy. France is now a republic. Lafayette, who had been fighting for a constitutional monarchy, decided that this revolution was no longer his. Declared a traitor of the nation on August 18, 1792, Lafayette fled the country direction Liège on the night of August 19 / 20, 1792. ( Dumouriez became his successor as commander of the Army of the North.) The Prussians arrested him and transferred him later to the Austrians. The Austrians kept him prisoner from 1794 to 1797 at Fort Olmütz. 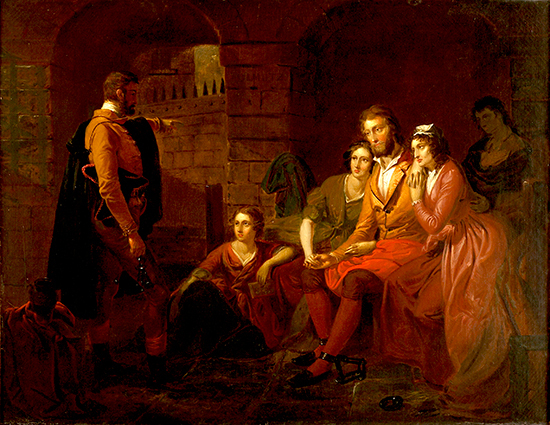 From 1795, Lafayette's family joined him in captivity. Lafayette's former aide-de-camp, Louis Leboeuf, approached Bonaparte and General Clarke, who in turn obtained from the Austrians the release of the Lafayette family on September 19, 1797. After his release from prison, Lafayette spent two years in Holland. He was not allowed back into France yet, out of fear he would rally the constitutional royalists again. October 17, 1797 - Peace of Campo Formio, which was the end of the War of the First Coalition. November 9-10, 1799 - Napoleon's Coup of 18-19 Brumaire, which was the end of the French Revolution. A few days later, the Lafayette family arrived back in France from Holland. 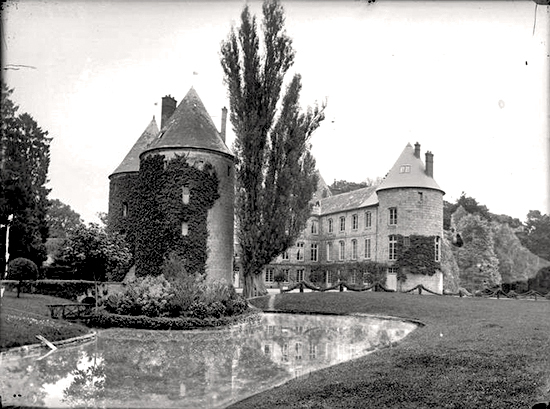 They settled in Seine-et-Marne, one car-hour south-east of Paris, where Lafayette's wife Marie-Adrienne had a little castle. Photographer Gustave William Lemaire. Ministère de la Culture. On December 14, 1799, Lafayette's friend George Washington died at Mount Vernon, Virginia. Napoleon's brother, Joseph Bonaparte, and Lafayette became friends. This helps Lafayette to get his name off the list of emigrants, and to get a military retirement pension. 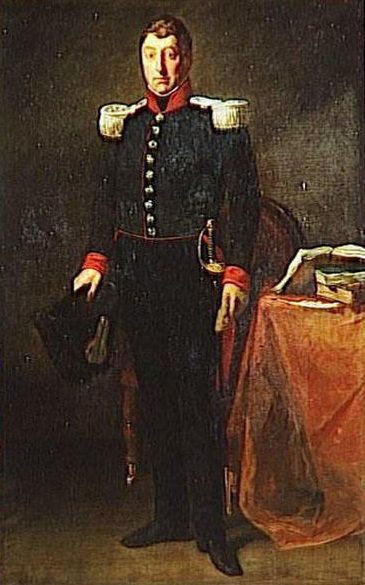 Lafayette's son, Georges, became an officer in a hussar regiment. Lafayette opposed pretty much everything Napoleon did, but he kept a low profile and refused to accept tasks, posts, or awards. On one day in 1803, leaving the Marine Department at Paris, Lafayette slipped on ice and fractured the femoral neck. He had to use a cane from then on. On December 24, 1807, Lafayette's wife died at the age of 48. In 1814, Louis XVIII became king, ending Napoleon's empire. In 1815, Napoleon was back for the Hundred Days (March 20 - July 8, 1815). During the Hundred Days, Lafayette was conseiller general, top adviser, for Seine-en-Marne. 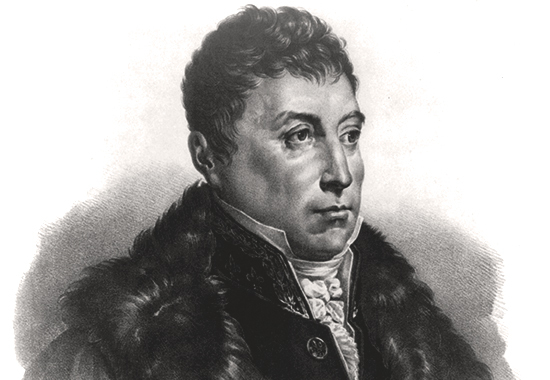 In October 1817, Lafayette was elected deputy of the département of Sarthe. He kept this post until 1822. Lafayette was very much against the Bourbon Restoration, including their excessive spending, and began to plot against the King, who in turn tried to monitor him closely. In June 1820, the affaire de Vincennes took shape. It was planned to abduct the royal family with the help of the garrison at Vincennes, and to establish a provisional government. On August 10, 1820, this coup failed. The next coup, the affaire de Belfort was scheduled for December 29, 1821. This time an insurrection of the military units of the East was plotted. 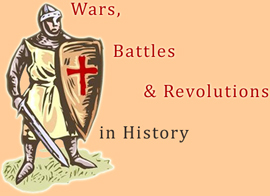 The coup failed on December 23, when a sergeant of Belfort discovered it. The plotters were heavily penalized, but they couldn't really pin anything on Lafayette. After 40 years, Lafayette went back to the States in August 1824. He stayed until September 1825 and met with Thomas Jefferson, John Quincy Adams, and others. During Lafayette's absence, on September 16, 1824, King Louis XVIII died and Louis' brother became King Charles X. On October 9, 1825, at 6 PM, Lafayette arrived back home at La Grange-Bleneau where 4,000 people came to cheer his return. The general public was happy to see him again. The royal gendarmerie not so much. They were back to double shift. 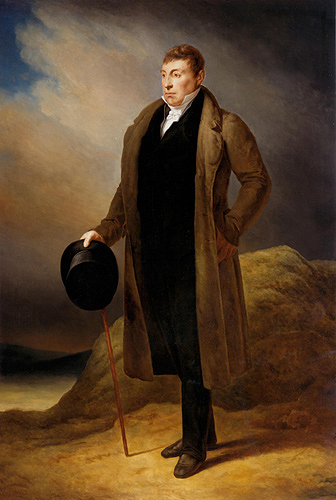 In June 1827, Lafayette took up again parliamentary work. The autocratic reign of Charles X led to the July Revolution of July 27-29, 1830. Charles X abdicated on August 2, 1830. Voilà le Prince qu’il nous faut. C’est la meilleure des Républiques ! Here is the Prince that we need. This is the best of the Republics! On August 16, 1830, Lafayette was appointed commander general of the National Guard. But he wouldn't stay for long in this position. Louis-Philippe became more and more autocratic. In December 1830, in Lafayette's absence, the king eliminated the post of commander of the National Guard. Lafayette became a leader of the opposition. Lafayette's last political deed was his letter, dated May 1, 1834, to the president of the Société d’Émancipation des Noirs, the Society of Black Emancipation, in which he encouraged their ultimate liberation. Lafayette died on May 20, 1834, at Paris.